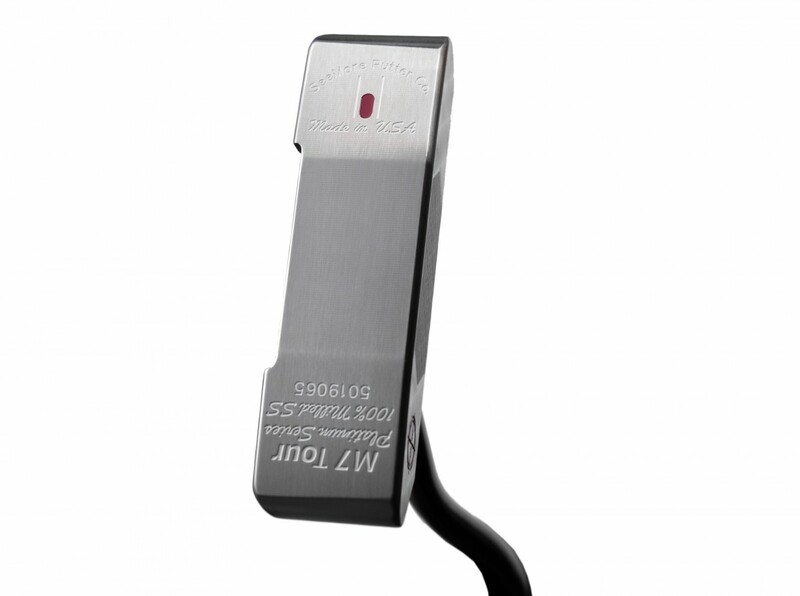 Platinum m7w Tour Offset (P1412) << Out of Stock until ~ May 1 - Putters - SHOP NOW! 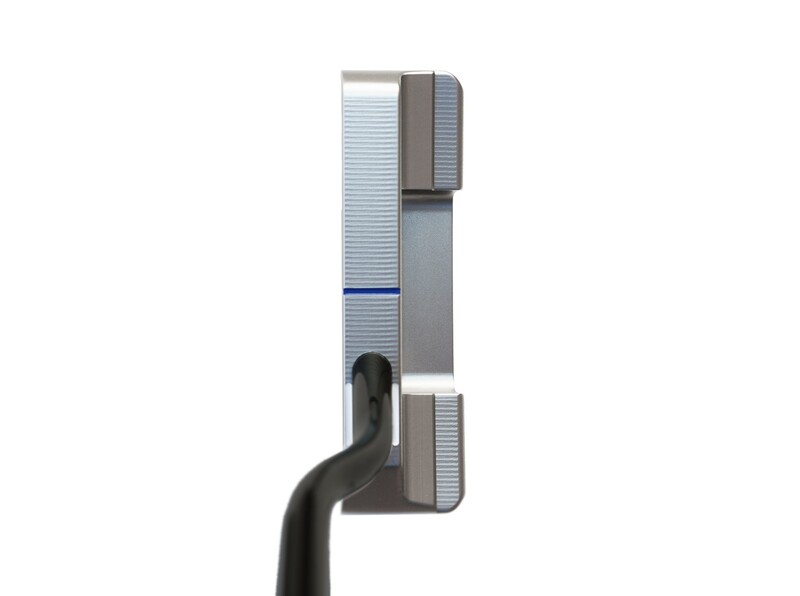 The Platinum M7 Tour Offset blade is a tour designed, heel and toe weighted blade in an offset shaft version. Designed for the player who loves the look of a classic blade but with enhanced forgiveness, the M7 Tour blade offers a look of exceptional confidence at address. The M7 Tour blade has a beautiful Platinum finish with intricate multiple milling patterns over the entire putter, including a deep milled face for exceptional Feel and Roll. Features the new "Sniper Scope" logo, representing the ultimate in Performance, Precision, and Exclusivity that the new Platinum Series has to offer. Striking design with lasting beauty. Straight shaft slightly toward the heel. Face Balanced. 100% Milled in the USA of the most expensive grade of USA made 303 Stainless steel. Alignment benefits of RifleScope Technology (RST). 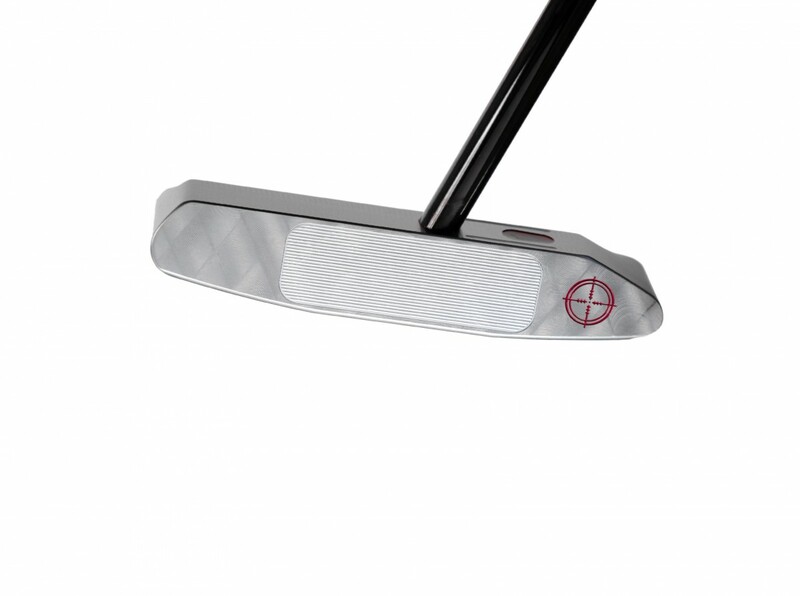 The Platinum M7 Tour Offset blade is a tour designed, heel and toe weighted blade in an offset shaft version. Designed for the player who loves the look of a classic blade but with enhanced forgiveness, the M7 Tour blade offers a look of exceptional confidence at address. The M7 Tour blade has a beautiful Platinum finish with intricate multiple milling patterns over the entire putter, including a deep milled face for exceptional Feel and Roll. Features the new "Sniper Scope" logo, representing the ultimate in Performance, Precision, and Exclusivity that the new Platinum Series has to offer. Striking design with lasting beauty. Straight shaft slightly toward the heel. Face Balanced. 100% Milled in the USA of the most expensive grade of USA made 303 Stainless steel. Alignment benefits of RifleScope Technology (RST). 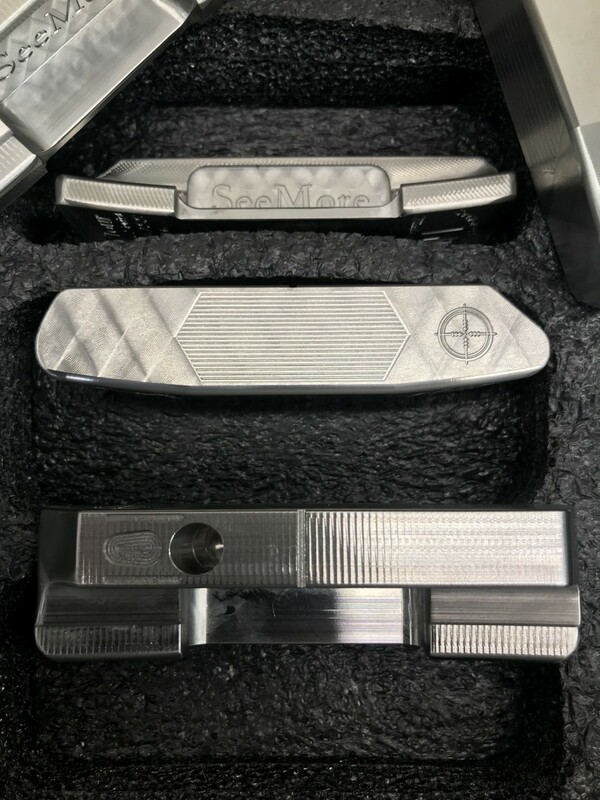 All SeeMore Putter Models Have SeeMore's Patented RifleScope Technology (RST) Alignment System, For A True Reference Point For Perfect Alignment And Set Up On Every Putt. 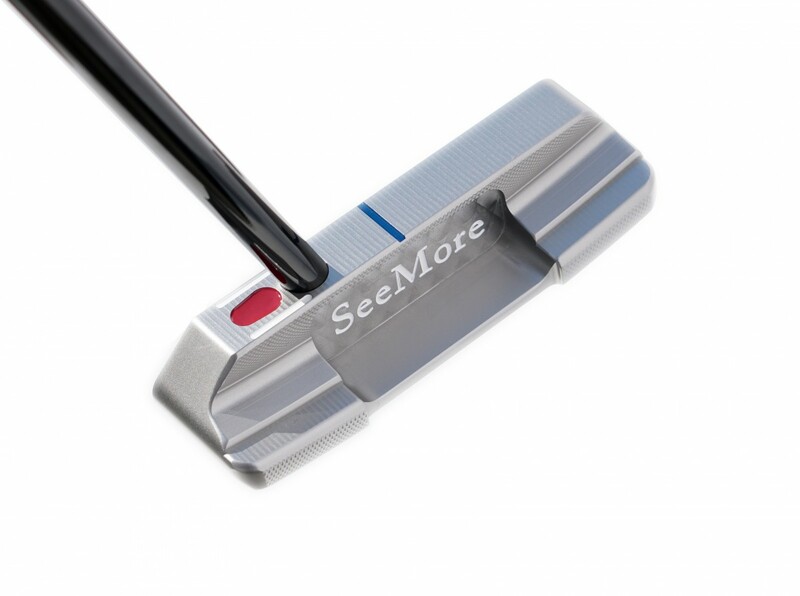 SeeMore was the winning putter brand of the 2015 OPEN Championship at St. Andrews (Zach Johnson), in one of the greatest clutch putting performances in OPEN History. SeeMore putters have won 3 MAJOR Championships, also including the 2007 Masters (Zach Johnson) and the 1999 US Open (Payne Stewart).